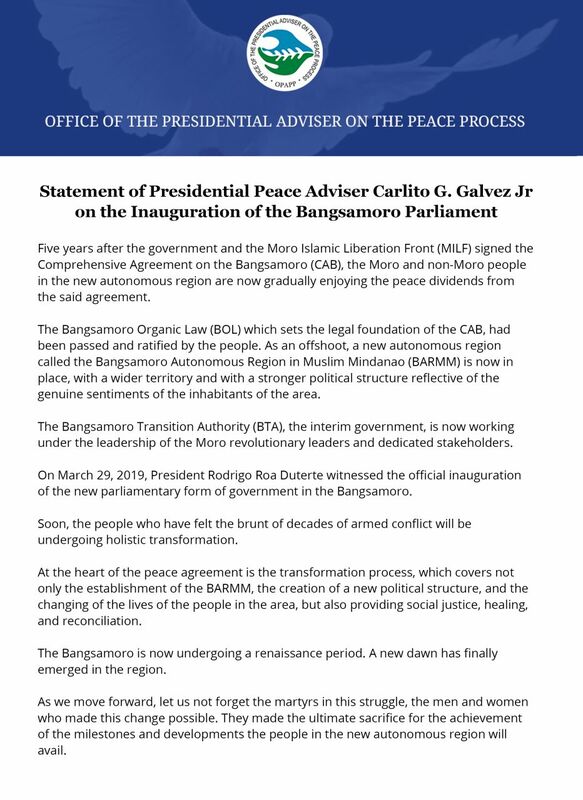 This was emphasized by Presidential Adviser on Peace, Unity and Reconciliation Carlito Galvez Jr. during the 4th National Peace Forum held here at the General Headquarters of the Armed Forces of the Philippines. 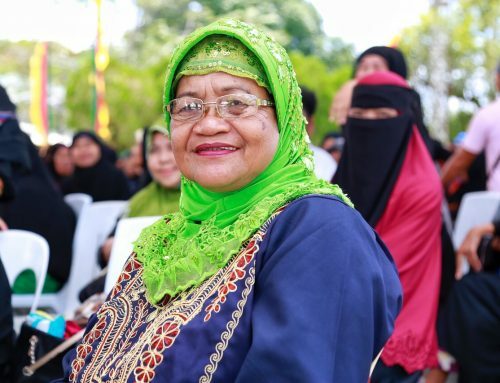 “Napakaganda po ng provisions ng Bangsamoro Autonomous Region in Muslim Mindanao. 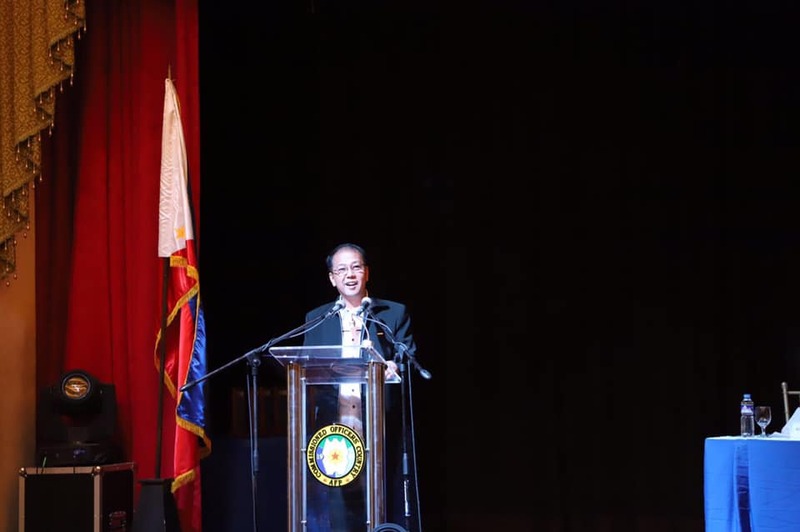 It is not only for those residing in the five core territories, but for all Moros residing anywhere in the country,” Galvez said in his keynote address. 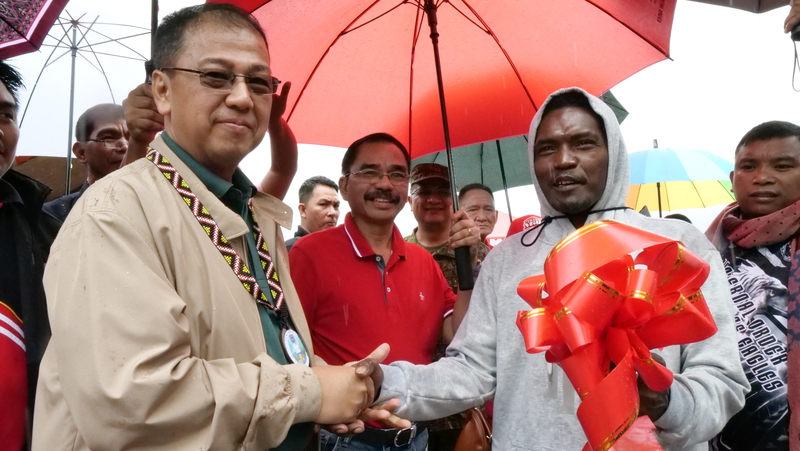 “BARMM is a concrete indication that we can work together, regardless of tribe or religion, and achieve results. This is the power of convergence. 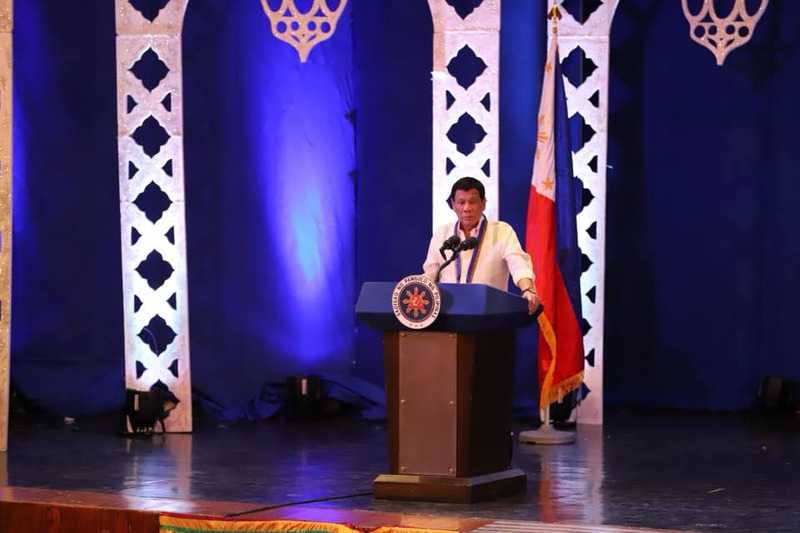 Despite our differences, we are bound by our common vision for our people and peoples’ welfare.” he added. According to the peace adviser, one of the most effective ways of addressing the rise of radical extremism and the prevailing culture of violence in the country is to educate the people, particularly the youth, women, orphans and the vulnerable sectors on these issues. 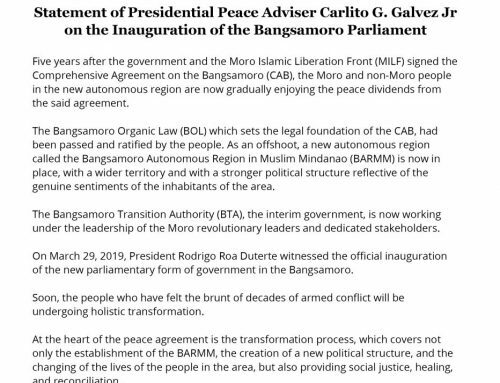 He also underscored the need for all stakeholders to come together and work hand in hand to ensure the success of the new political entity which replaced the Autonomous Region in Muslim Mindanao (ARMM). 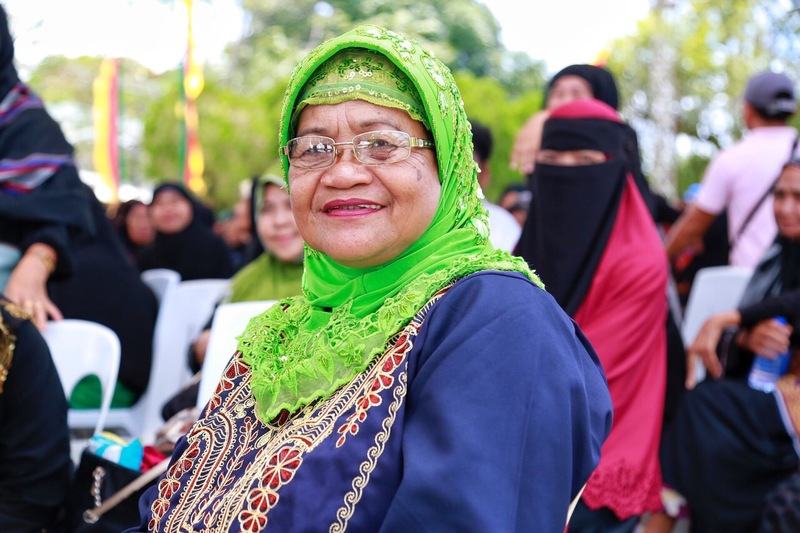 “While opportunities abound in the Bangsamoro, these will not materialize without the contribution of everyone. There is a lot we can do from our end regardless of our stature in life. 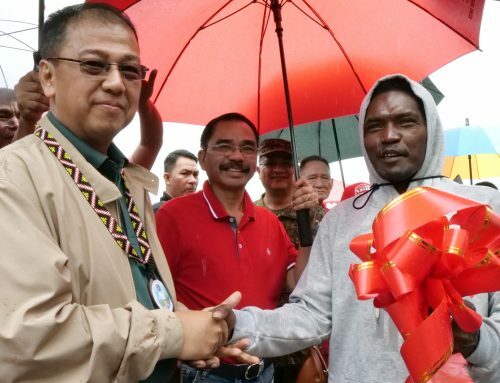 All of us can make a difference,” he said. 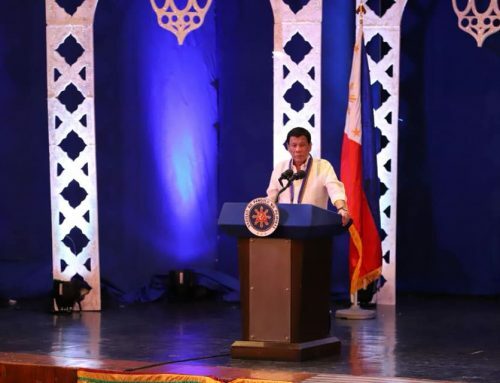 “We must seize this opportunity to help our Moro brothers and sisters achieve their longtime dream and aspirations,” he said. 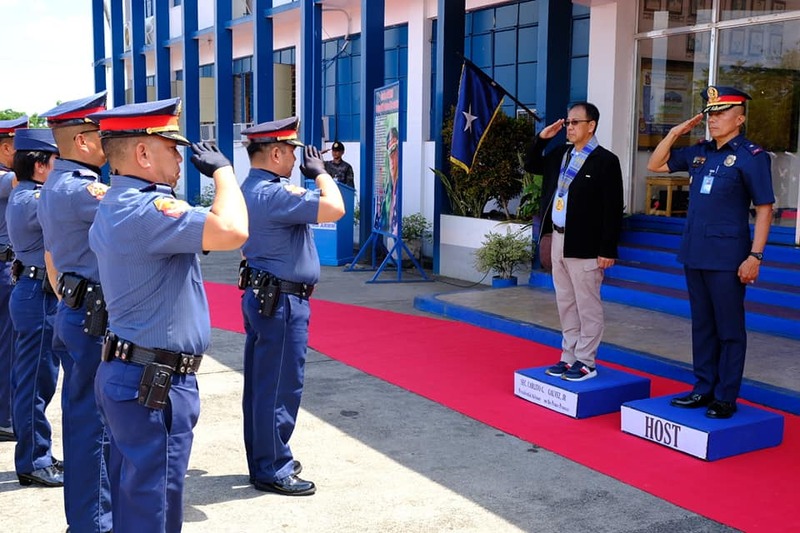 Around 300 participants composed of ulamas, interfaith representatives, women, youth, and representatives of Rotary Club Districts attended the event. 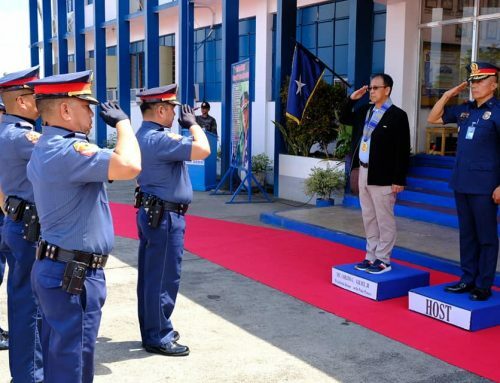 They were led by Rotary Club officials which included Liza Elorde, Yussuf Candidato Macalangcom, and PSUPT Ibra Moxir. 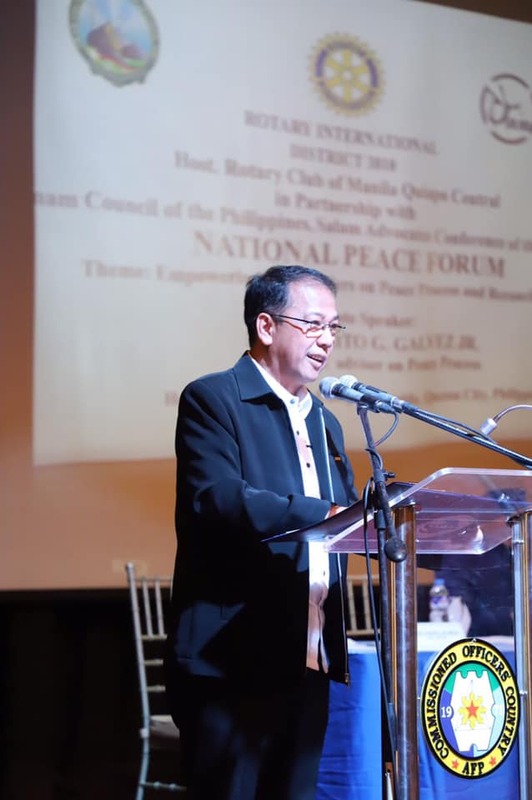 The forum aims to, among others, promote sustainable peace initiatives not only in the country but throughout the world by creating local and international partnerships among peace stakeholders. 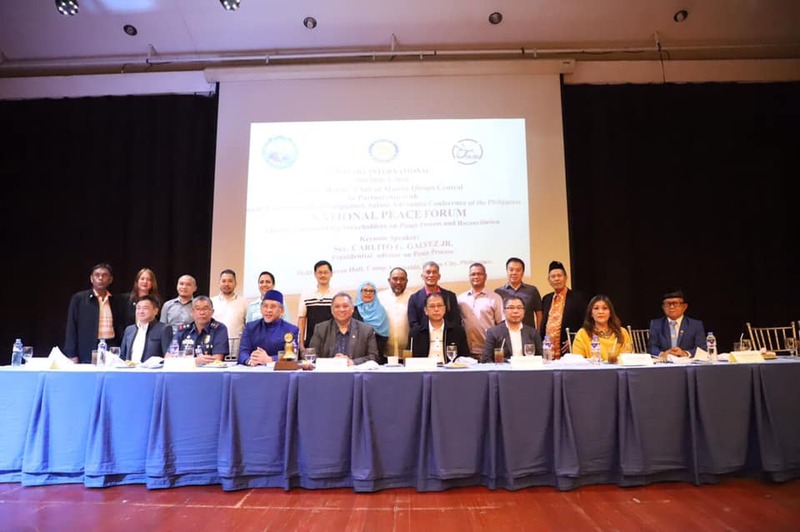 The event was organized by the Rotary Club of Manila, in partnership with the Imam Council of the Philippines and Salam Advocates of the Philippines Foundation.